January is the time to start fresh, and for 2018, we’ve taken it to heart. 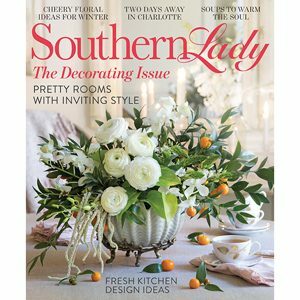 With this annual decorating issue, you’ll experience Southern Lady’s new look, while also reminiscing on some of our greatest traditions—all in honor of our 20th year. 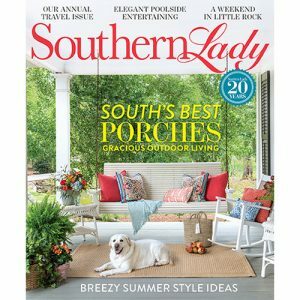 While we look forward to all that’s ahead, what remains constant is our dedication to sharing with you the many joys of life in the South, from home décor and hospitality to entertaining ideas and weekend escapes. 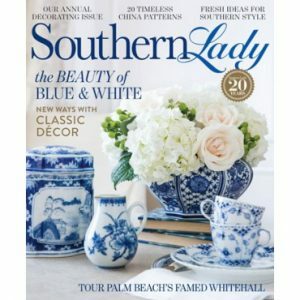 Special features abound, from a look back at the magazine’s earliest days to roundups of our favorite blue-and-white spaces and most treasured china patterns. Travel with us from Palm Beach to Memphis, touring homes ranging from the grandeur of Beaux Arts manor Whitehall to a sophisticated family home in Birmingham. 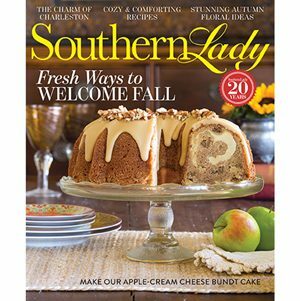 Enjoy sweet and savory menus sure to instill warmth throughout the winter season, and settle in with us on our journey to celebrate 20 years of Southern Lady.